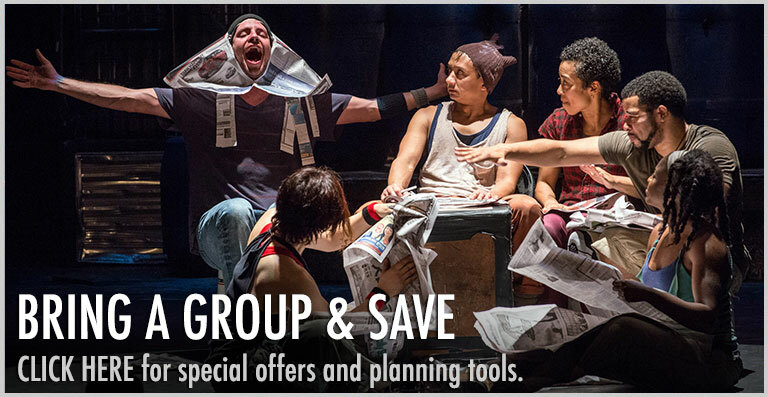 STOMP has been bringing the beat to NYC audiences for 25 years! 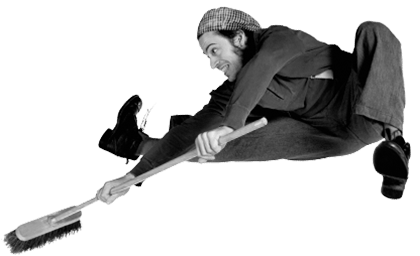 With its unstoppable energy and invigorating use of matchboxes, brooms, garbage cans, and Zippo lighters to keep the rhythm, STOMP's unique blend of music and theatrical performance has captivated international audiences for decades, and now, we want you to make music with us! In order to celebrate and showcase the hundreds of ways we can make music, we're hoping to collect the best, most diverse and eclectic series of rhythmic videos from all over the world. We're asking YOU, our amazing fans, to help by recording a 10-second STOMP-style video. Whether you're STOMPing with a group of friends or on your own, using body percussion or drumming on found objects, we want you to show us your best beats, dance moves, and, of course, sense of humor! To be a part of our global video celebration, use the rhythm provided as a reference, record your own, and submit through the form below. Stay tuned for the finished product, where all your solo clips will be edited together to create a collaboration that crosses ages, nations and oceans! One lucky participant will be selected to win a pair of tickets to our 25th anniversary performance! 1. Use the tempo reference above and create your own STOMP rhythm with whatever moves you - props, boots, or just your own two hands! 3. Fill out the form below to enter your video. Submit your video link using the form below by 11:59pm EST on Wednesday, February 20th. 4. Make sure you're following us on social for the chance to see yourself in our global celebration video! Check here to indicate that you have read and understand the terms and conditions. No purchase necessary. Contest is open to U.S. residents only. Contest ends Wednesday, February 20th at 11:59pm EST. Winner will be selected and notified via the email they provided by February 27th. Winner agrees to share his/her first and last name for fulfillment of the prize. Prize unclaimed after 24 hours from notification is forfeited and STOMP reserves the right to select another winner. We reserve the right to extend the submission deadline at any time, without notice. 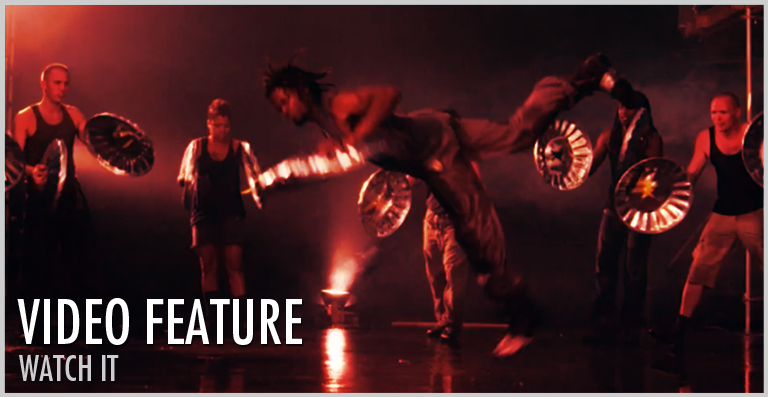 I hereby authorize STOMP to publish videos and photographs taken of me, and my name and likeness, for use in online marketing materials promoting STOMP. Such materials include social media outlets (Facebook, Twitter, Instagram, YouTube), online advertisements, and email newsletters. I hereby represent and warrant that I am at least 13 years of age, and that if I am under 18 years of age, my parent or legal guardian has agreed to the above terms. I hereby release and hold harmless STOMP from any reasonable expectation of privacy or confidentiality associated with the images and videos specified above. I further acknowledge that my participation is voluntary and that I will not receive financial compensation of any type associated with the taking or use of these photographs or participation in marketing materials or other publications. I acknowledge and agree that publication of said photos and/or videos confers no rights of ownership or royalties whatsoever. I hereby release STOMP, its contractors, its employees, and any third parties involved in the creation or publication of marketing materials, from liability for any claims by me or any third party in connection with my participation. 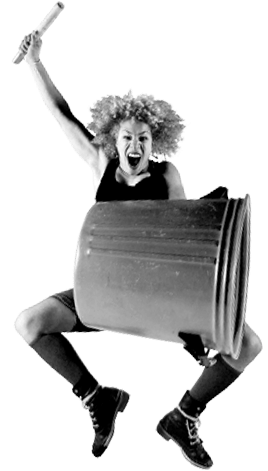 Prize: There is one (1) Prize package for two (2) people to attend STOMP's 25th anniversary celebration on March 3. This includes: two (2) nights’ accommodation at the Marriott Downtown Manhattan Residence Inn; travel accommodations for two (2) guests from anywhere within the continental U.S. to the New York City area; admission for two (2) to STOMP's 25th anniversary performance on the evening (5:30 PM EST) of March 3rd, 2019; two (2) tickets to the post-show celebration. Celebration party will feature an open bar available only to those 21 years of age or older. If the winner is a minor, their plus one MUST be a parent or guardian. Prize winner and his/her traveling companion(s) are solely responsible for all costs not expressly described herein including, without limitation, applicable taxes, fuel/currency surcharges, alternate ground transportation, meals, beverages, room service, gratuities, merchandise, telephone calls, insurance together with any required travel documentation, and all personal expenses of any kind or nature, together with any applicable overnight layover. Reservations will be accepted based on availability, and may be subject to blackout dates. 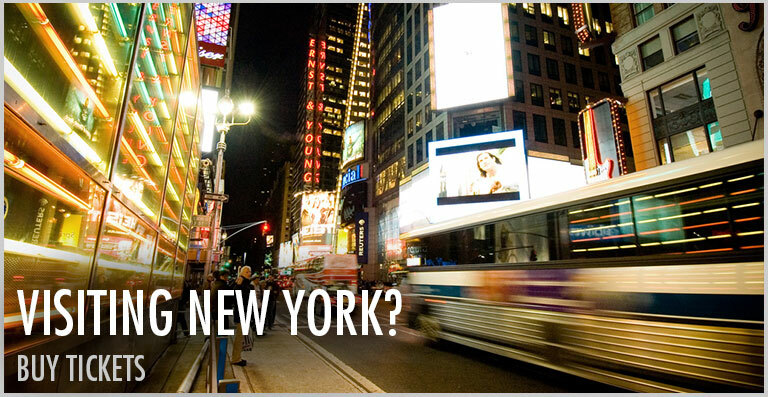 Travel must take place from March 2nd-March 4th (with arrival in NYC on March 2nd and departure on March 4th). Hotel accommodations are subject to change and availability without notice or compensation. Prize winner and his/her traveling companion(s) are also solely responsible for all costs incurred to and from the Departure Point as the Prize originates and terminates there. It is the sole responsibility of the Prize winner and his/her traveling companion(s) to obtain all necessary travel documentation including passports and visas if applicable and to comply with any customs and immigration requirements. Prize winner and his/her traveling companion(s) must be able to travel at the times and dates as determined by the Contest Sponsor(s) in its/their sole discretion failing which the Prize will be forfeited. It is recommended that Prize winner and his/her traveling companion(s) obtain sufficient personal insurance prior to departure.